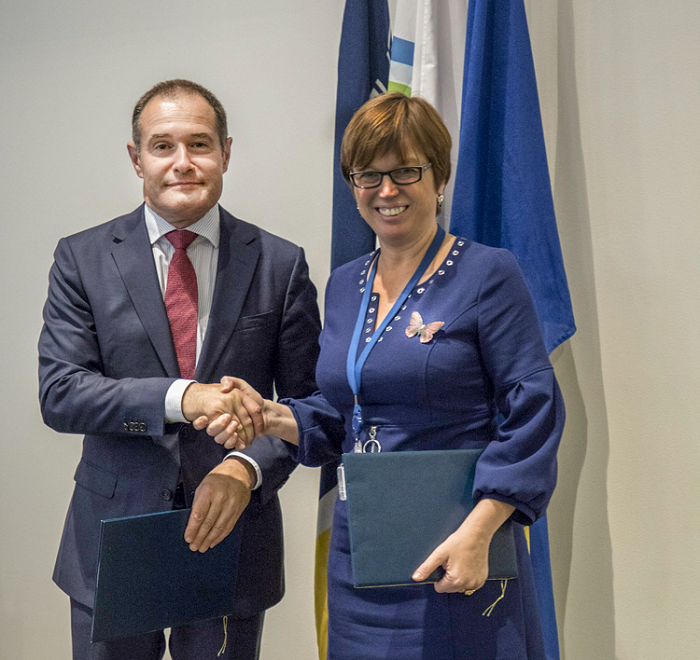 Europol and Frontex, the European Border and Coast Guard Agency, are stepping up their cooperation to strengthen the European area of freedom, security and justice. At a joint meeting on Thursday in The Hague, the Management Boards of both Agencies agreed to expand the exchange of information between them to strengthen their joint fight against terrorism and cross-border crime. The improved cooperation has been laid out in a Statement of Principles for Collaboration signed by the Executive Directors of the two Agencies. Europol’s databases and criminal investigations will be strengthened by information gathered by Frontex during operational activities. Information from Europol will facilitate even more efficient management of the EU’s external borders and intelligence-based, targeted action against criminal groups and terrorists. “Working even more closely together, our agencies will contribute to more secure external borders of the EU and step up the fight against terrorism and cross border crime. The citizens of Europe expect us to work shoulder-to-shoulder to ensure a European area of freedom, security and justice,” said Fabrice Leggeri, Executive Director of Frontex. The collaboration focuses on identifying complementary capabilities and expertise at Europol and Frontex and improving cooperation on the ground. Both Agencies will build up joint operational support and where possible will set up common procedures. Frontex is going to share information gathered at the external borders into Europol’s criminal information hub. This structural exchange of information between the two Agencies will improve the work of border guards and support investigations. Efforts of both Agencies in the fields of research and development of new technologies will also be closely coordinated, for instance for the introduction of the European Travel Information and Authorisation System (ETIAS). Frontex and Europol also plan to hold annual meetings of executive management and exchange liaison officers. In addition, the two Agencies will coordinate external activities, including contacts with external partners and sharing information on major strategic developments. Frontex and Europol will work jointly developing training activities and plan to introduce exchange programmes for staff.